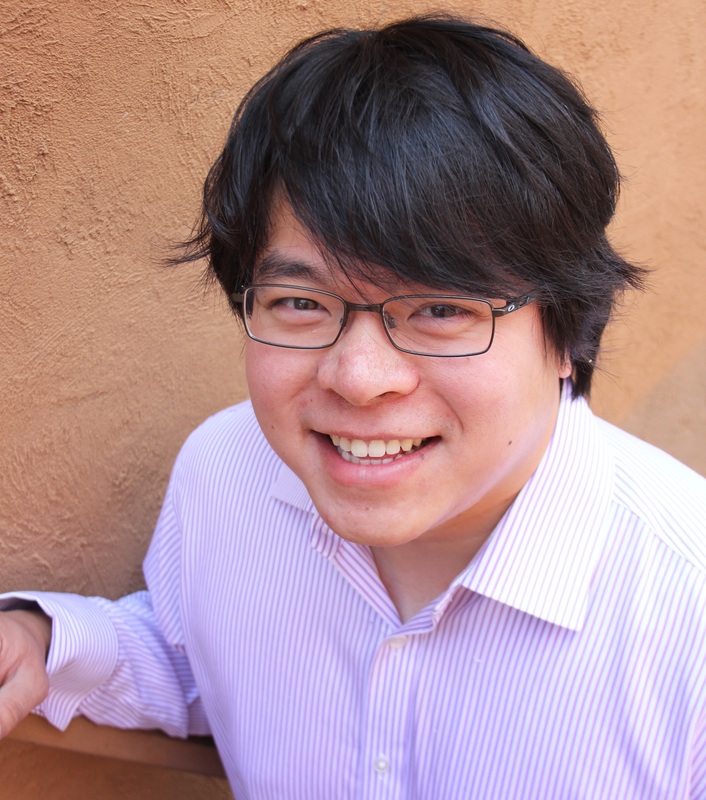 Matt Chan is a PhD student in the department of Civil and Environmental Engineering. He has a chemistry degree from the University of Illinois at Urbana-Champaign, as well as a masters degree in Environmental Science and Engineering from Virginia Tech. Matt is interested in all areas of chemistry and seeks to apply his chemistry knowledge to applications with more immediate impact to the world. This desire brings him to environmental studies, where complex environmental phenomenon are grounded in chemical theories. His undergraduate research investigated how pollutants can be broken down in the water environment. Matt simulated these environmental processes in the lab and gained insights on the underlying chemistry g!overning how these contaminants are broken down. In his graduate work, Matt is trying to understand how new emerging contaminants from nanotechnology interact with the environment. Nanotechnology refers to applications and theories that exist between the traditional molecular sciences (e.g. chemistry, molecular biology) and macroscopic phenomenon (e.g. classical physics); they are based on very small materials (nanomaterials) but are generally larger than atoms and most molecules. Because of this unique size range, nanomaterials enjoy unique properties that are not found in either traditional chemicals nor in bulk materials. Given these special properties, the interaction of nanomaterials with the environment is currently poorly understood. It is unclear if these materials are persistent in nature, or if they undergo transformation into other materials with different properties. Matt currently investigates how gold nanoparticles – widely used in the biomedical industry for cancer treatment and imaging – behave in the environment. Matt is also active in university governance at Virginia Tech. 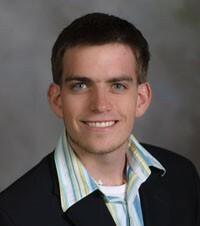 As a cabinet member of the Graduate Student Assembly, Matt has sat on campus-wide committees that deliberate and create policies for many aspects of the university. Some of these policies included new conflict of interests policies, new dining hall operations to increase sustainability, and many others. 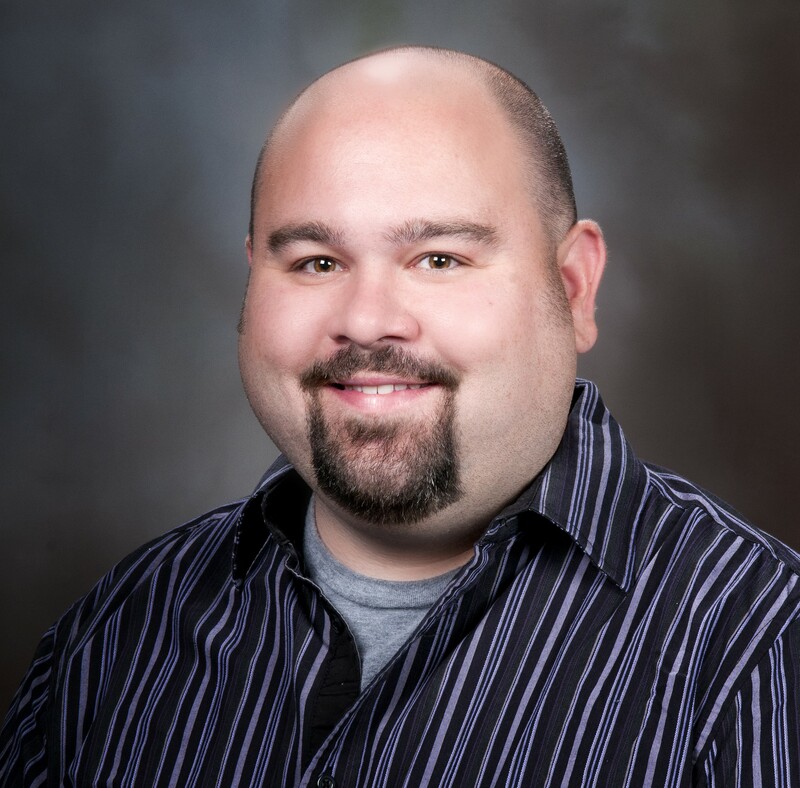 Matt currently sits on the Graduate Curriculum Committee, which reviews, edits, and approves new course and degree proposals before they advance to University Council and the Board of Visitors. Matt believes that student involvement in university governments is crucial. Considering that the majority of a university’s population is students, it is critically important that students are involved in governance processes at that their voices are heard. Within the Global Perspectives Program, Matt hopes to engage with the international academic community and to learn from their diverse backgrounds. Specifically, he would like to learn the degree to which students are involved with university governance in different universities, as well as the h!istory and motivations behind such involvement (or the lack thereof). 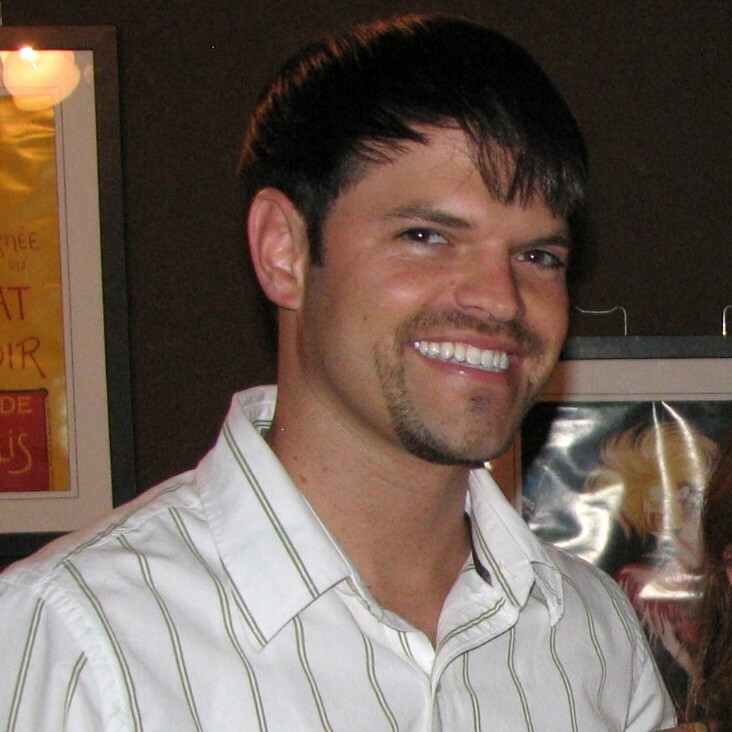 In his spare time, Matt participates in many music ensembles, including orchestras, bands, and choruses. He also p!articipates in community theater. He is also active in his church, serving as a leader at his church youth group. Identify key similarities and differences between universities within continental Europe. Despite several being in the same country (Switzerland), how are they different? Examine similarities and differences between European universities and Virginia Tech (or perhaps, US Universities in general). What would work here/there, what wouldn’t work? Why? Key focus: What are the governance and administration structure like in European Universities? Are there any historical or cultural context on how they are set up? At Virginia Tech we are fortunate that the governance structure includes student involvement. However, the level and amount of student input in the governance structure varies greatly within United States. In Europe, are student input valued in such settings? What are the historical or cultural contexts? Kevin Geyer is a 5th year PhD student at Virginia Tech in the Department of Biological Sciences. His research encompasses the intersections of ecosystem ecology, biogeochemistry and microbial ecology. 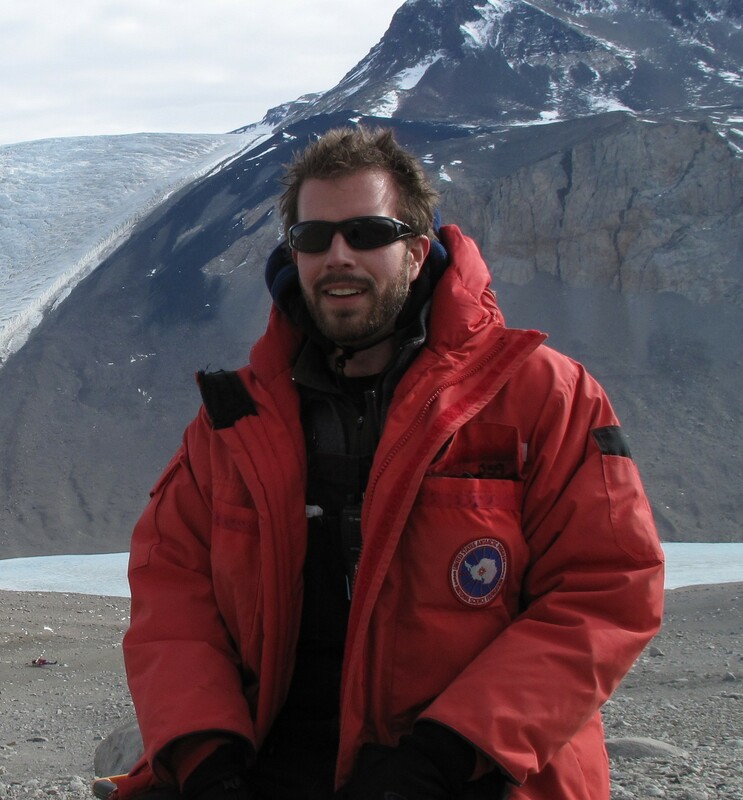 Specifically, his dissertation involves the investigation of soil bacterial communities native to Antarctica’s Dry Valleys, a model system where simple foodwebs display distinct responses to environmental gradients and can provide strong evidence as to the primary forces which determine the distribution of ecologically and economically significant microorganisms worldwide. Kevin is originally from Michigan where he earned a B.S. in Environmental Biology/Zoology at Michigan State University (2006) while working as an aquatic chemist/algal taxonomist. After graduation he worked for the National Park Service, Smithsonian Environmental Research Center, taught high school biology, and was a Team Leader for America’s primary national service organization (AmeriCorps). 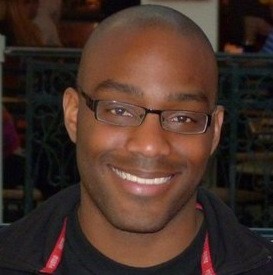 In 2009, he began his graduate work at Virginia Tech. Kevin hopes to b!ecome a university professor and be engaged in higher education. 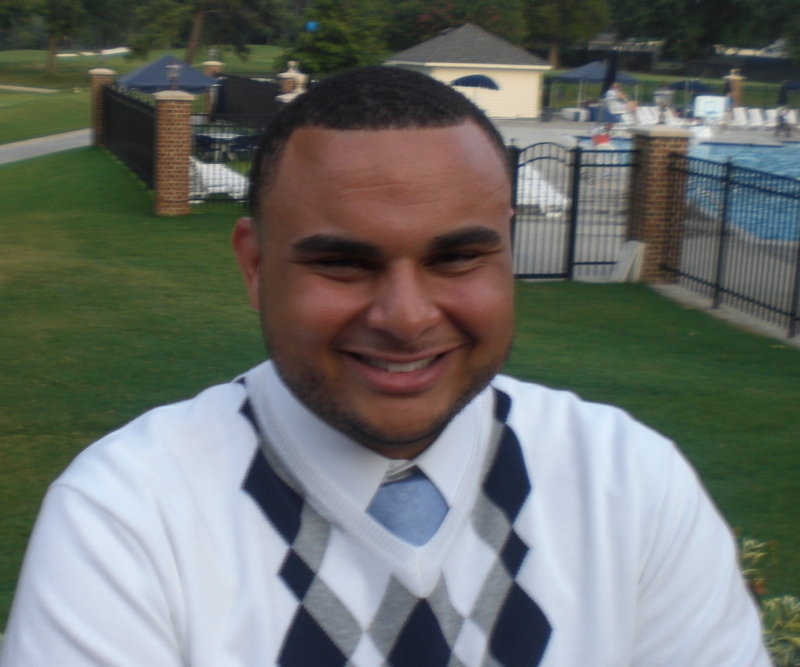 As an AmeriCorps alumn, Kevin strongly values education and community service. He has taught undergraduate biology laboratory classes for six semesters at Virginia Tech and has mentored over a dozen students on independent research projects. Aside from his graduate work, Kevin regularly volunteers both on and off campus for numerous organizations. 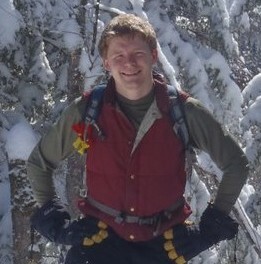 He enjoys s!pending time hiking, fishing, and learning about military history. I hope to observe the differences between American and European approaches to biological sciences in universities, particularly with respects to pedagogical practices and research. I am interested in the value European cultures place on a college education, and ultimately what/where graduates hope to use their degrees. Is the so-called “brain drain” of emigrating graduates a growing issue? What steps are European universities taking to ensure equal access to college education? What are the largest barriers to enrollment for potential students? I am a huge lover of different cultures and can’t wait to experience the local cuisine, architecture, and history! The Virginia Tech motto is Ut Prosim (To Serve). In this spirit, combined with my background in community engagement and lifelong service, I am interested in learning more about the common practices and perceptions which European faculty maintain regarding community service and campus/community relations. For example, do u!niversity administrations request faculty to participate in outreach activities? Katy Gieder is a 3rd year PhD student in the Department of Fish and Wildlife Conservation at Virginia Tech. 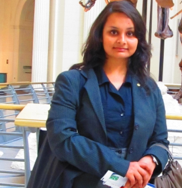 She obtained a MSc in Environmental and Life Sciences from Trent University in Ontario, Canada. Katy’s research focuses on understanding the interactions between anthropogenic activities and wildlife conservation needs in coastal ecosystems. She aims to develop a model that will predict the effects of sea-level rise and storm activity on barrier island landscapes. This model is being developed in collaboration the U.S. Geological Survey as part of a nationwide sea-level rise hazards assessment project. Specifically, Katy plan to use this model is to provide a predictive tool that will aid wildlife managers in managing future nesting habitat for the federally-listed Piping plover (Charadrius melodus), a small shorebird that breeds along the Atlantic Coast from N!ewfoundland, Canada to South Carolina in the U.S.
As a child of overly enthusiastic world travelers, Katy was fortunate to have been exposed to a great variety of cultures from a very early age. She spent the first two years of her life in her birthplace (Florida) and then moved to Switzerland until the age of 6. Thereafter, Katy lived in Singapore for a year. After one year of home schooling, Katy then attended a large local school in rural Malaysia (having moved there from Singapore). 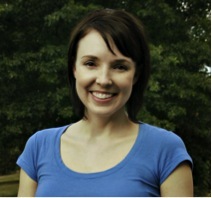 Katy moved to her parents’ native Canada to attend high school and continued her education in Canada until moving back to the United States to obtain a PhD. While living in these different countries, Katy was continually exposed to different cultures and experiences as her parents travelled extensively to neighboring countries and locations. There is no doubt that Katy caught the travel bug and seeks every opportunity to experience different cultures and environments. Most of Katy’s hobbies (cooking, hiking, mountain biking, skiing) are centered on the fact that they allow her to experience new places. Katy is very much looking forward to visiting Switzerland, France, and Italy from a completely new perspective of pedagogy, and also making the most of being immersed in rich historical and culinary delights!! To identify differences in how graduate students in North America and Europe balance work and life. For instance, how do graduate students in Zürich spend their leisure time compared to graduate students in Blacksburg? Is the graduate student body composed of mostly families or single individuals, or is there a mixture of both similar to what is found at Virginia Tech? To observe the architecture and layout of the university campuses we will visit and compare them to the architecture and layout of North American university campuses that I have visited. To explore Zürich and enjoy a culture that values bicycling as a main mode of transportation. I would like to explore the issue of diversity, specifically in relation to faculty and graduate students. Diversity is an important issue within North American universities, is it an important issue in European universities? What are some of the unseen biases that occur in the European universities we will visit? How is diversity promoted in the European universities we will visit? Are there certain departments where promoting diversity is particularly difficult i!n European universities, similar to what I have seen at Virginia Tech? Problem Solving/Systems Thinking – exploring how individuals reason through “wicked problems” in a community context; exploring how these problem solving skills are taught; developing frameworks to better !understand and teach these reasoning skills. Jake is a fierce believer in the importance of accessible high quality education and is committed to the study and practice of teaching/learning environments that seek to (a) nurture development of critical liberal education competencies (e.g. leadership, multiculturalism, citizenship); (b) cultivate student skills in self-awareness, critical thinking, reflection, perspective taking, etc. ; (c) create a community of co-educators/co-learners; (d) integrate academic, social, and c!ivic realms in order to “educate the whole student”; and (e) encourage individualized assembly of knowledge. 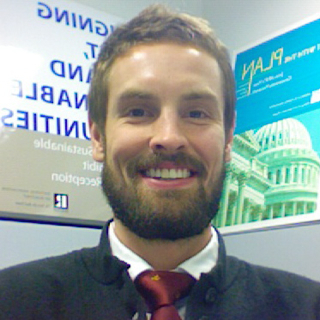 Aside from his role as a doctoral student, Jake serves as Associate Director for Engaged Learning and Scholarship for VT Engage: The Community Learning Collaborative where he is the lead faculty member for the SERVE Living Learning Community at Virginia Tech. He also provides leadership for scholarship and assessment efforts aimed at understanding and measuring outcomes from community-engaged learning experiences. More personally, Jake is a proud father, committed partner, and tennis-ball thrower to family Courtney, Jude (son), and Grady & Kiwi (two lovable fetch-playing seventy-pound dogs). He also is a casual coffee-roaster, pizza-maker, and home-renovator…hobbies that have suffered since beginning a PhD program, though caffeine consumption is a!t an all-time high. 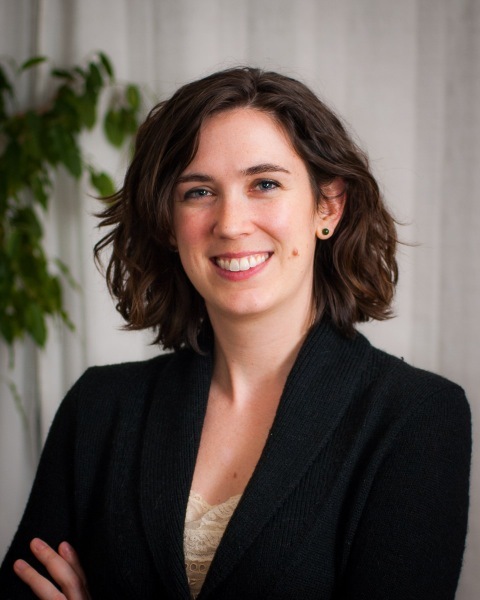 Jen Henderson is a Ph.D. student in Science and Technology Studies, an interdisciplinary program focused on ways that science, technology, and society mutually constitute each other. She also holds an M.F.A. in creative nonfiction, has published numerous essays, and has taught university courses in creative writing, humanities, and academic integrity. Jen’s research sits at the interface between meteorological science as practiced by forecasters and its interpretation by different publics. Specifically, she focuses on those techniques of definition used by experts to shape representations of disaster risk and the sociotechnical networks used to characterize and map them. In her dissertation, Jen will illustrate how experts in the meteorological community classify, construct, and characterize risk through the case study of the Oklahoma tornadoes of May 2013. She’ll do so with a critical eye toward ways that experts represent public experience and often ignore environmental calculations of weather. Key themes in Jen’s work include the ways that ethical considerations come into play at each stage of the forecast and mapping process and how experts frame ethical decisions; how National Weather Service policies, such as the Weather Ready Nation Initiative, get communicated to and rely on different publics; the communication of risk and uncertainty; the public understanding of science; and the history of technology, especially meteorological technologies such as Doppler radar, earth observations satellites, and the EF-Scale. Her methods are ethnographic and historical and are framed by concerns of environmental and social justice. While weather is her main passion, Jen also loves hiking, Ashtanga yoga, traveling abroad, and writing essays. Originally from Utah, she hopes she can one day move closer to the West so that she can enjoy more time with her family, especially her nieces and nephew. 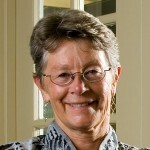 Visit her website at www.jenhenderson.com for more about her research and writing. Network Opportunities: The majority of success I’ve gained as a scholar in the weather community comes from networking — online and in person. I’m hoping to make connections with other scholars, not only in my cohort from Virginia Tech but also at the universities we visit. Interdisciplinarity Skills: One of the skills I value most in higher education is an understanding of and practice in interdisciplinarity. While usually applied in cross-disciplinary circles, I believe it’s equally important to understand cross-cultural perspectives in terms of disciplinary practices and knowledge construction. Ethics Education: One of my roles in weather communities is to function as an ethicist in highlighting issues of responsibility, tacit commitments to different norms, and mechanisms for codifying values. I’m curious how issues of ethics are discussed in graduate education in other countries? In scientific and technological practice? In terms of the responsibility of higher education to the public? Personal Experience: I’d generally like to feel a little out of my comfort zone, to see the world from a fresh perspective, and to enjoy good food. As someone interested in definitions of disaster and how institutions and communities conceptualize risk, I would like to learn more about how universities in Europe frame disaster preparation. Is it similar to the Storm Ready program here in the U.S. or is it something completely different? What issues of responsibility and accountability arise in these discussions? How do these conversations extend into the surrounding communities? In what ways (visual, textual, practical)? I’m also curious about the European model that encourages public participation and deliberation in debates over science and technology. I’d like to understand how this plays out in the university classroom and within discourses of disaster itself. Connie Jones is a second year PhD student in the Counselor Education and Supervision program in the College of Liberal Arts and Human Sciences. She has a B.A. in Anthropology from the University of Virginia and a Masters of Social Work from Virginia Commonwealth University. 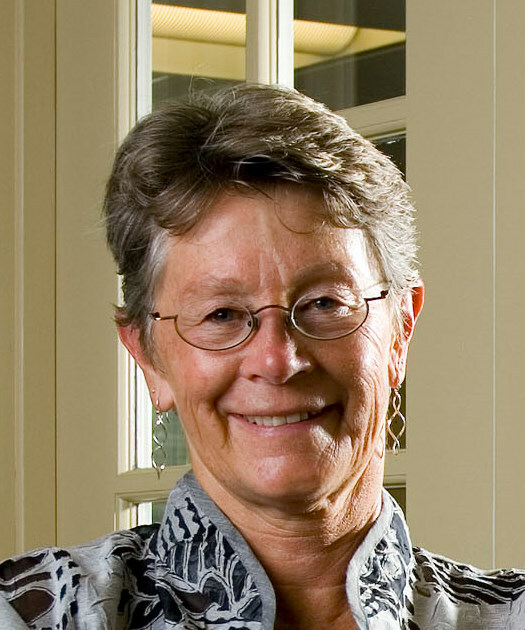 After practicing in a variety of mental health and community organizational settings, Connie was inspired to pursue her doctorate degree in order to bring her practical field experience into the classroom and conduct research that will contribute to the field of mental health and social justice. 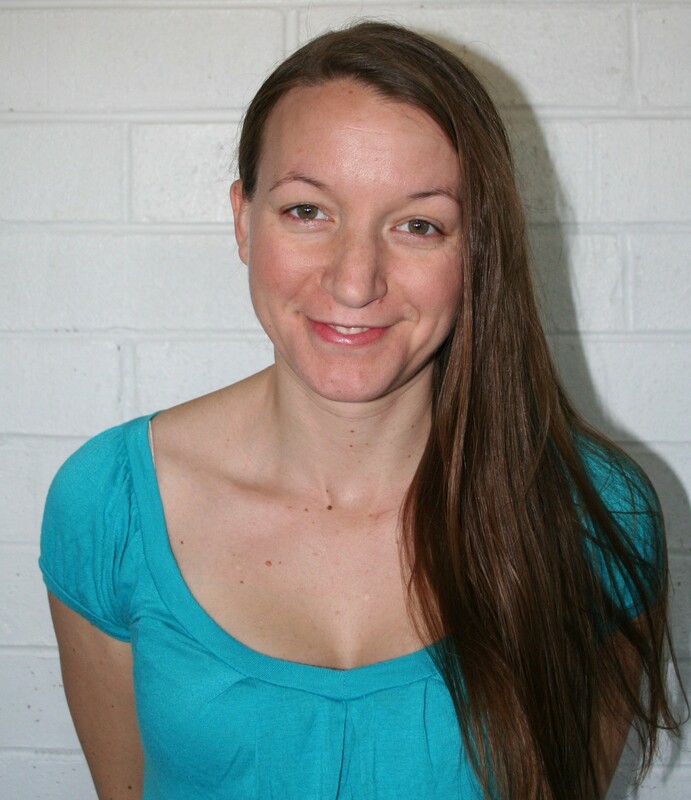 Connie’s research interests include: social justice, multiculturalism, African-American mental health, and work with substance-using offenders. She has a passion for teaching and enjoys learning about different pedagogical practices. Connie has co-taught several courses, but her favorite course to teach was, Counseling with Diverse Populations. Connie feels extremely honored to be a part of the Global Perspectives Program. She is looking forward to expanding her knowledge and examining the differences in academic practices in order to better understand how the global professoriate may learn from one another and work together to solve various issues in higher education and society. On a personal note, Connie enjoys spending time with her family and friends, listening to music and traveling. To learn about European faculty identity. I am interested in learning how the faculty members at European universities view their roles as teachers, researchers, and how they view service within the community? (i.e., relationships with students, involvement in the community) I also want to examine the differences and similarities between faculty in the U.S. universities and European universities. To learn about the value placed upon diversity within the universities and explore if there are any diversity initiatives implemented on campus that address the inclusion and achievement of all students and that promote diversity and encourage cultural exchanges on campus. To examine the different campus cultures of each of the European universities. To explore the pedagogical practices used at the European universities. I also want to learn as much as I can about higher education in Europe. Most importantly, I want to be open to new experiences. I want to learn from and reflect on every experience in order to facilitate growth within myself throughout the process and after this wonderful opportunity ends. Through this experience I hope to grow as a person and professional. Connie is interested in exploring how mental health is perceived on European university campuses. Are there college counseling centers on campus? What services are available at the college counseling centers and how students are connected to the counseling centers? How utilized are the college counseling centers services? Which mental health field degree programs are offered at the different universities (i.e., counseling, social work, psychology)? Matthew Schroeder graduated from Muhlenberg College in Allentown, PA in 2010 with a BS in Chemistry and a minor in Spanish. Upon graduating, he immediately started his graduate work in the Department of Food Science and Technology at Virginia Tech. In 2012 Matt graduated with his MS in Food Science and Technology. Matt’s masters thesis focused on Campylobacter in chicken processing. Realizing his true passion is academia, Matt decided to stay at Virginia Tech and pursue his doctorate in Food Science and Technology. 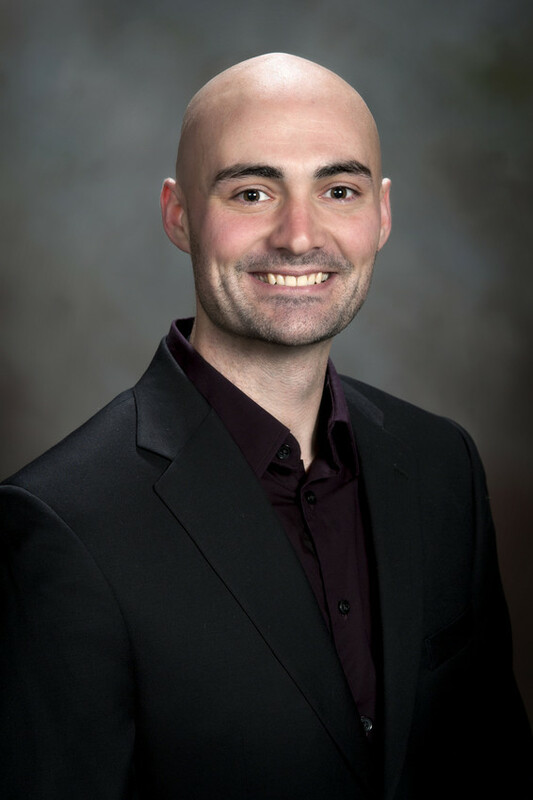 His dissertation research focuses on using pictograms as a way to offer recurring food safety knowledge for non-native English speakers in the poultry industry. As an inaugural member of the Graduate Teaching Scholars program in the College of Agriculture, Matt co-taught and co-created a new Food Science course entitled “Food and War” during the Summer Academy in 2013. He is now the instructor of record for the same course currently offered during the in spring 2014 semester. Matt is finishing his 2nd year of his PhD and hopes to graduate in May 2015. Aside from his academic responsibilities, Matt coaches the Virginia Tech men’s club lacrosse team. During his first 4 year in Blacksburg Matt acted as the assistant and is entering his first season as the head coach. 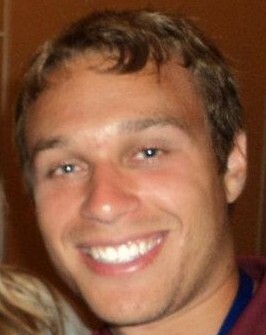 Matt enjoys running, playing sports, and hanging out with his dog, Steele. I want to immerse myself in the cultures. Interacting with locals, enjoying cultural cuisines, and visiting historical landmarks are crucial to getting the most out of this experience. In terms of teaching, we as future faculty will experience a variety of different class sizes and pedagogical challenges. I want to evaluate how European faculty members deal with these challenges and how they compare to our current practices. I hope to gain an understanding of the European education system from (what we call) kindergarten through graduate school. More specifically, when European students choose their major and how that choice influences the university they attend. In the United States, we think of faculty having teaching, research, and extension responsibilities. I want to investigate these responsibilities in Europe and see how these responsibilities compare to those in the United States. Therefore, my research topic for the trip will involve analyzing the similarities and differences of faculty responsibilities in the United States and Europe. 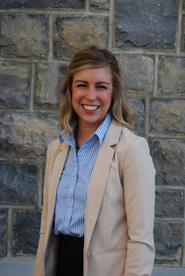 Maria Stack is a fourth year doctoral candidate in the Educational Research and Evaluation program and graduate assistant in the Office of Assessment and Evaluation at Virginia Tech. She holds a bachelor’s degree in psychology from The College of William and Mary and a master’s degree in education from Harvard Graduate School of Education. Prior to starting her PhD, Maria worked as a research assistant at The Family Center, a family services nonprofit outside of Boston. Currently, Maria’s research interests are in the areas of early childhood education and childhood obesity. In particular, she is interested in the underlying family and environmental issues, like parental depression, that can interfere with a child’s health and success in school. Learn about the scope and limits of university administration in European universities as compared to US universities. Learn about Switzerland’s role in the European higher education. Enjoy the food! And read food labels when possible—as an obesity researcher, I am interested in how European food ingredients compare those found in the US. Through my assistantship, I have learned a lot about assessment practices in US universities, but very little about approaches in other countries. Thus, for my GPP research topic, I am interested in exploring assessment in European universities. More specifically, I am interested in learning how teacher quality is assessed. I also want to learn about how assessment is incorporated into the Bologna process. Mallory Taylor was born and raised in Newsoms, Virginia a small, rural town also known as “The Home of the Jumbo Peanut.” Before attending Virginia Tech, Mallory completed her undergraduate studies at Ferrum College, a small, private, liberal arts college, tucked in the foothills of the Blue Ridge Mountains. 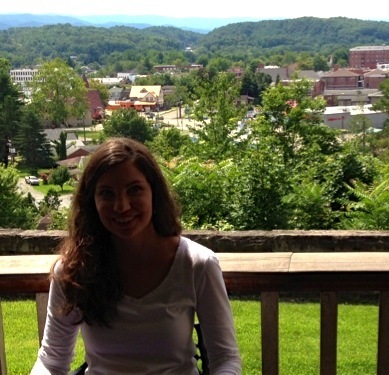 During her time at Ferrum, Mallory majored in Recreation Leadership and double minored in Eco-Tourism and Business. Her passion for the outdoors, recreation, and physical activity led her to Virginia Tech where she is a masters candidate in the Hospitality and Tourism Management program. Mallory is currently in the process of writing her masters thesis and will be defending her thesis this spring semester. 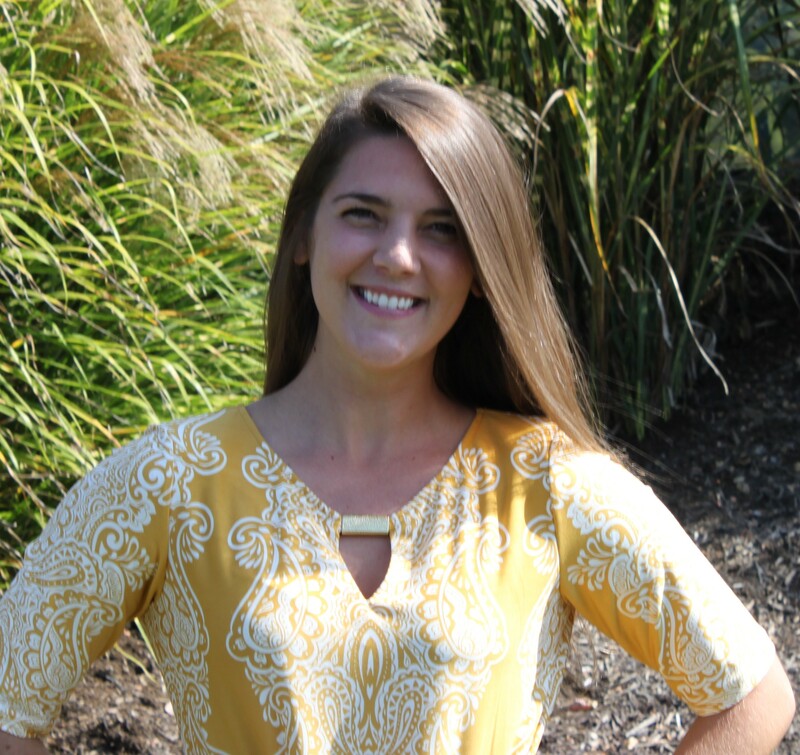 Outside of being a graduate student, Mallory enjoys running, weight lifting, hiking, and teaching BodyPump group exercise classes. She is always open to new and exciting adventures and learning experiences. This will be Mallory’s third trip outside of the United States as she traveled to Europe during high school and participated in a study abroad trip to Costa Rica during her freshman year at Ferrum College. Mallory is really looking forward to tasting some Swiss chocolate and other desserts, as she has a relentless sweet tooth. To learn, understand, and appreciate the cultures (including cultural heritage and leisure trends) introduced during the Global Perspectives Program. To learn, understand and be able to apply the differences in global higher education to the American system. Also, to view the history and inner workings of higher education outside of the United States. To learn more about and form friendships with my peers in the Global Perspectives Program. To also use these friendships as an opportunity to look outside of my discipline to have a more holistic view of higher education. To learn more about the chosen Global Perspectives Program research topic. To be able to see and appreciate multiple opinions and possible solutions to the topic. “The Affects of Changing Waistlines: How Will Higher Education Change to Combat the Obesity Epidemic” — How does the expanding waistlines of the global population affect the future of higher education? What can be done to address the obesity epidemic in global higher education? What alternatives are there to the system used in America? Is America’s system a role model for other countries to follow? What can America learn and take away from their more healthy global partners in higher education? 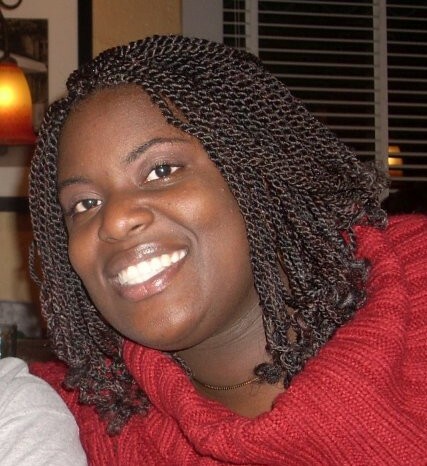 Joy Thompson is a second year Ph.D. student in Virginia Tech’s Sociology department, concentrating in Africana Studies. In addition to Joy’s research interest, she enjoys presenting and teaching — both in the classroom and online. Teaching, as Sonia Sanchez, prolific poet, author, and critical leader in the creation of Africana studies, is a profession in which you’re able to “make people jump barriers and touch each other” and essentially sums up Joy’s motivation for teaching. 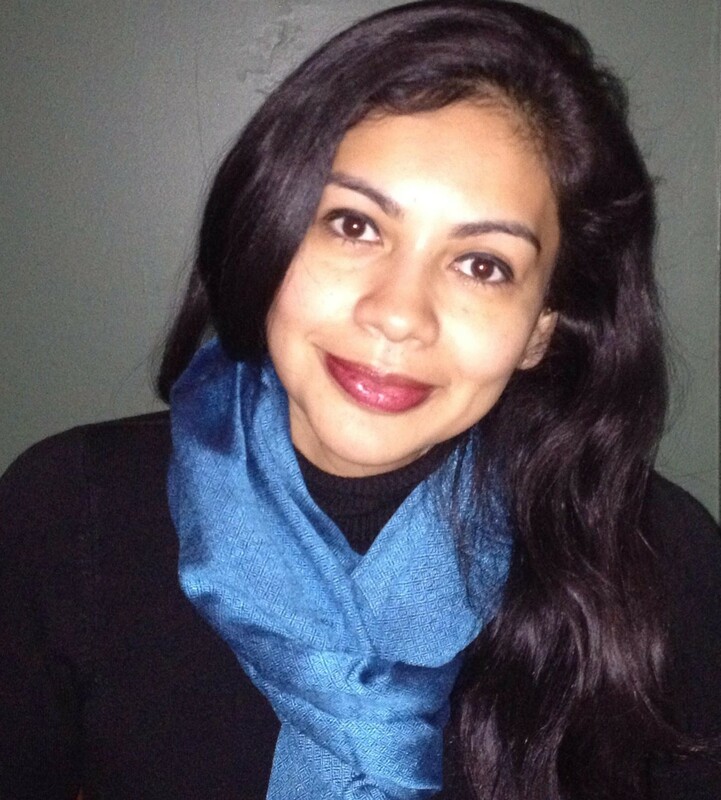 In the quest to understand how mass media, historical representations of marginalized cultures, and dominant notions of beauty play a distinct role in the formation of identity for young women, Joy’s research focuses on how young women of color retain or reject their natural aesthetic or appearance in a society that overwhelmingly doesn’t represent them. 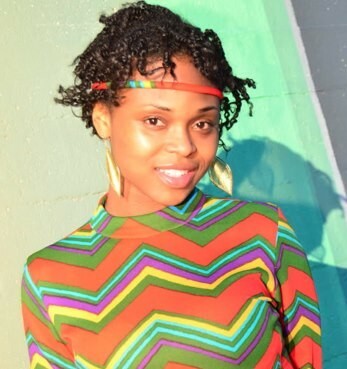 Joy hopes to be an integral part of transforming Africana studies from a peripheral field of study to one that is more rooted and central to worldwide school curriculums. Joy graduated from Howard University in 2006 with a Bachelors of Arts in Broadcast Journalism and graduated from Morgan State University with a Masters of Science in Media Management, in 2009. After spending three years working in multimedia, public relations, and co-founding Good News Baltimore, a non-profit organization that produces a television show highlighting the positive aspects of the city, Joy entered Virginia Tech in the fall of 2012. To see how European Universities use technology to enhance the in-class and online experience of teaching and learning. To observe how European faculty balance and/or integrate professional and personal life. To view and possibly partake in student life on the campus of European universities to understand in what ways they are fundamentally similar and/or different to student life at American universities. 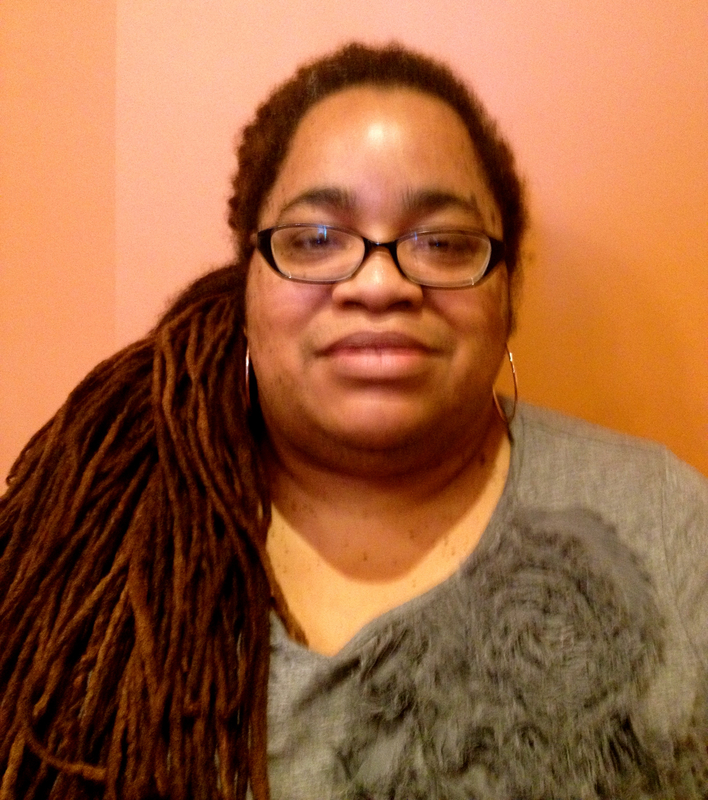 Joy’s research focuses on learning how Africana or Black Studies is presented or taught in the halls of academia on European campuses, and ultimately comparing and contrasting them with the Africana studies’ pedagogical practices, literature, and course offerings on American campuses, specifically Virginia Tech. 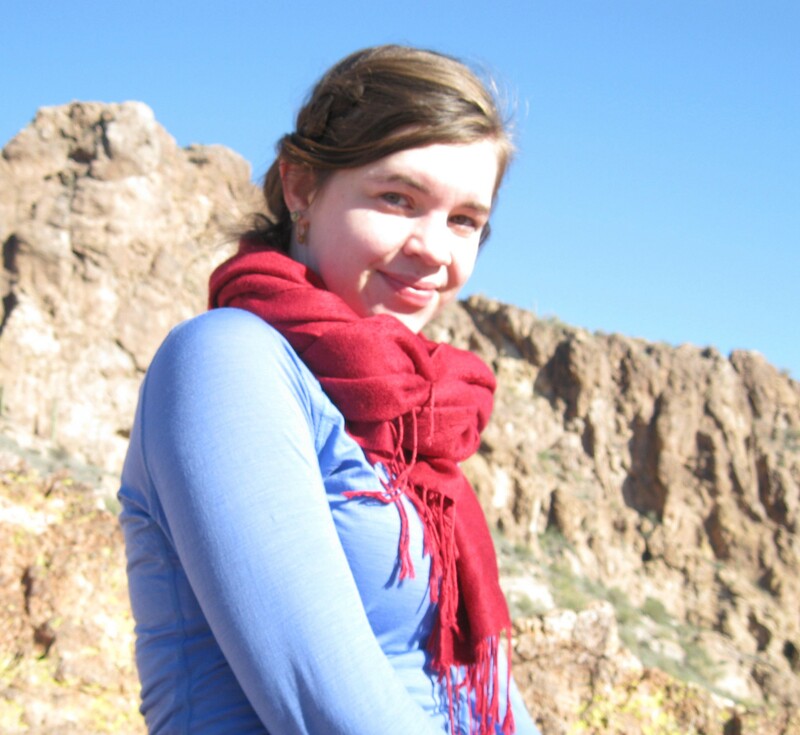 Sarah Ulrich is a second-year Ph.D. student in Geosciences at Virginia Tech. Her research is in Environmental Nanoscience, and focuses on the role of natural nanoparticles in the the transport and transformation of environmental pollutants. Much of her research includes integrating Transmission Electron Microscopy (TEM) to further our knowledge of natural nanoparticles. In addition, she is interested in the links between nanoparticles and human health, and how alteration of the local environment can create unexpected health hazards. 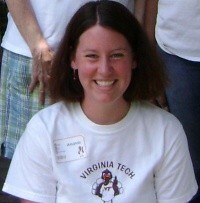 Prior to arriving at Virginia Tech, Sarah was a field technician at the U.S. Geological Survey in Reston, VA. There, she studied sedimentation and erosion rates in both urban and rural watersheds. In addition, she analyzed floodplain uptake and emissions of greenhouse gases in order to better understand the role that wetlands play in mitigating climate changes. Sarah received a Bachelor’s of Science from the University of Wisconsin – Eau Claire in 2011. While studying in the geology department she researched the nature of heavy metal-bearing minerals in airborne dusts from California. The project investigated these minerals as an exposure pathway for human inhalation. Since Switzerland is a country with four official languages, I think it will be interesting to see how universities accommodate different cultures and overcome language barriers. In the United States, universities frequently lead the charge in implementing more environmentally sustainable practices when compared to other large institutions. I would like to see how sustainability is encouraged and implemented abroad. I am very passionate about teaching, and would like to learn about teaching techniques that are finding success abroad. With any luck, learn something about the geology of the Alps! I will be investigating the changes in educational funding sources and costs, and the resulting effects on educational quality and accessibility. Furthermore, I would like to learn how institutions are coping with these changes, from the university level all the way down to individual classrooms. Ivette Valenzuela, is a PhD candidate at the Population Sciences Department at Virginia Tech and prefers to be called Ivy (her nickname since childhood). In 2004, Ivy graduated with a MD degree from the Universidad de El Salvador. After becoming a mom, Ivy’s career shifted slightly when she moved to Massachusetts and worked from 2005 until 2010 on implementing standards of care for asthma and diabetes at clinical level. In August 2011, Ivy started her Master of Public Health at Virginia Tech and was part of the first cohort of MPH students graduating after the program acquired its accreditations in July 2013. Both while working in Massachusetts and pursing her MPH in Virginia, Ivy was fascinated the role of nurses in education. Therefore, she decided to pursue a Bachelor of Science in Nursing, which she completed in December 2013. Higher education became Ivy’s passion after discovering new ways of teaching through her academic experience in U.S and the Future Professoriate Graduate Certificate (FPGC) program. The FPGC also helped Ivy to see how diversity and technology are important to handle the societies’ challenges. Ivy’s research is on Type 2 diabetes prevention and its complications in the Hispanic population. She uses her bicultural, bilingual, medical and public health skills to assess communities and improve their health outcomes. Working with underserved communities has taught Ivy that education is the key to prevent many lifestyle-related diseases, decrease healthcare cost and improve the quality of life of populations. Ivy’s professional goals are to work as a professor, seed innovative ideas in her students, and create a liaison among community and healthcare. I would love to learn the differences on teaching between Europe and US and if Europe is preparing for the changes in Higher Education. I have never been in Europe, going to Switzerland where they have four official languages makes me think that they are open to cultural diversity, I would love to see how open they really are. Technology is a must, therefore I would like to know how accessible is for European students to have access to it. I love food, I am really looking forward to try the traditional dishes from the places that we will be visiting. Addressing changes in higher education with technology and diversity. 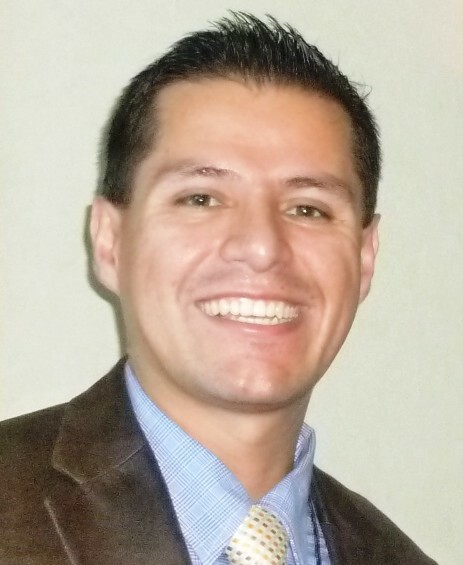 Michel Vargas is a doctoral student in the Materials Science and Engineering Department at Virginia Tech. His research is focuses on nanoscale structural/chemical characterization of MnOx(s) (manganese oxides) surface layers and nanoparticles and the associated implications for drinking water treatment. He aims that this work will lead to a scientific breakthrough in terms of understanding how these MnOx(s) structures form and impact the production of high-quality water for human consumption. Furthermore, this knowledge will also transform the current approaches to modeling and designing water filtration systems, enhancing water quality outcomes, and improving water filtration process performance using environmental conscious and inexpensive MnOx(s) surface layers. Therefore, his research effort would contribute to water sustainability by improving water infrastructure and distribution, water remediation, water and health. In 2007, Michel received a Bachelor’s degree in Mechanical Engineering from the National Polytechnic School (Escuela Politecnica Nacional or EPN) in Quito; graduating as Valedictorian of the Investiture of the School of Engineering. During his undergraduate career, Michel was elected Chair of EPN’s Student Chapter of the American Society of Mechanical Engineers (ASME) for two consecutive years and also won first prize at the KIA Advocate Training Camp program held in Seoul, South Korea. Receiving promotions from Process Engineer to Technical Manager at a General Motors dealership, Michel’s professional career advanced rapidly in the automotive field after graduation. Then, Michel advanced to General Assembly Superintendent at the AYMESA automobile assembly plant. He has taught several seminars on process management, lean manufacturing, and metals processing at the university level and at his former company. He has also performed research on failure analysis in automotive parts. After all of his experiences, Michel decided to pursue further academic studies to enhance his skills. Applying and subsequently receiving the prestigious International Fulbright Science & Technology Award, Michel became the first and only Fulbright S&T Fellow from Ecuador. Upon completion of his doctoral studies, Michel will pursue an academic career as a faculty member in one of the top engineering universities in his beloved Ecuador, as well as start an engineering consulting company. To understand how subtle differences in culture can impact higher education systems and their objectives (comparing Ecuador, US, and few European countries that we will visit). To share and discuss with my peers our ideas and perspectives about a new academia for the 21st century. To learn about new places and new cultures in order to understand their people better and enrich my life with a global taste of mutual understanding.